On January 22, the Second Ministerial Meeting of the Forum of China and the Community of Latin American and Caribbean States was held in Santiago, Chile. The meeting concluded with a series of framework documents to promote long-term cooperation. Closer China-Latin American ties have been keeping the US on its toes. US Secretary of State Rex Tillerson implied that China was becoming an imperialist in a speech before his Latin America visit earlier this month. The US envies the growing China-Latin American relationship. In recent years, the two sides have maintained frequent high-level visits, strengthened political trust and built bilateral and multilateral cooperation mechanisms. China now is the largest trade partner of Brazil, Peru and Chile. By the end of 2016, China's foreign direct investment into Latin America had reached $207.1 billion. Chinese companies have invested in diverse industries, ranging from oil, raw materials and mining to infrastructure construction, international production capacity cooperation, finance and tourism. The investment has shifted from State-owned enterprises and policy bank-driven deals to a situation in which private enterprises dominate. The investment has also gone into more countries in the region. The economy of Latin America has been undergoing hardships, which means foreign investment is needed to boost economic development. Most countries in Latin America have huge financing gaps when it comes to infrastructure construction. China hasn't given up on Latin America, and investment from China is based on the principle of mutual benefit without any conditions. In contrast, what did the US do for this region? Economic plunder and political intervention by the US have been an inescapable cause of the poverty and turmoil of Latin America for hundreds of years. The US has warned Latin America of "potential predatory actors" while being one itself. The US always has conditions when Latin America needs help. During the "lost decade" of Latin America, the US assisted it through the World Bank, but on condition of political system reforms. After US President Donald Trump took office, he moved to renegotiate NAFTA, build a border wall and constrain investment to Latin America. These moves have completely defeated the confidence of the people. Accusations from the US about China are rooted in a fear of Chinese competition. Though Chinese investment and infrastructure construction may compete with that of the US, they can be compatible as well. China has filled in the gaps left by the strategic contraction of the US. Also, China and the US invest in different sectors. Infrastructure construction has improved the investment environment and facilitated investment and business from other countries including the US. China has worked on projects that Latin America wants to do but doesn't have the money to do. Most companies from the US or Europe pursue short-term returns. Infrastructure, which has longer investment periods and low return rates, is not their interest. But for China, such projects are an opening for its overseas investment. China hopes the investments can generate greater positive externalities and social benefits. Chinese investment in Latin America has also encountered difficulties. Despite initial gains, investment from China was not profitable in recent years. The downward economic trend in the region has affected some projects in the short term. Some construction projects are stalled due to local political and economic infighting. Similar cases have happened worldwide, so Latin America is not unique on that front. For instance, it takes time to communicate and coordinate if a project has an impact on the environment. Outside influences can't be excluded, either. In particular, some media and nongovernmental organizations have put China in a bad light, causing doubt and questions about Chinese investment among local people. The US has been pointing fingers at other countries worldwide with its Cold War mindset. 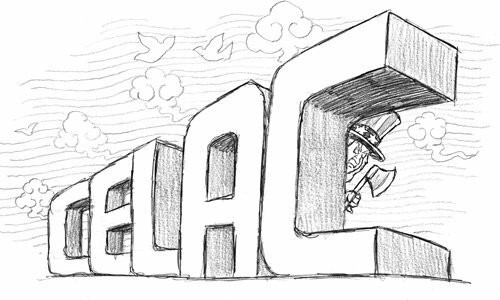 China does not have to care too much about US comments that seek to undermine the improvement and development of China-Latin American relations. More attention should be given to communication with governments, the public and the media, and to solving the problems of Latin America-related investment. In 2018, several countries in this region will hold general elections. It will require wisdom and better communication to get Chinese investment through this phase.